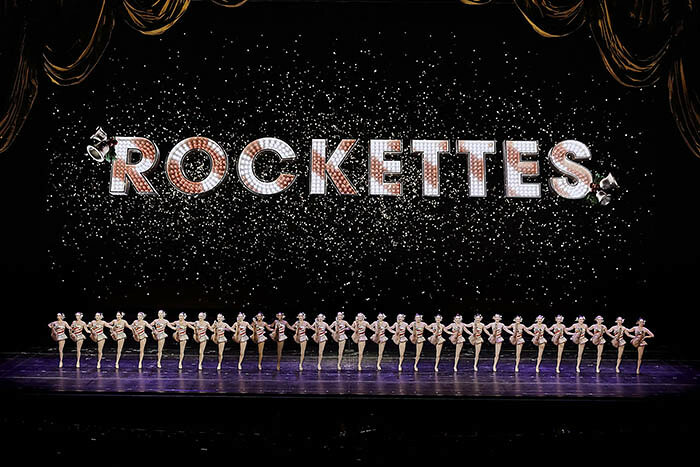 The Rockettes Show in New York: review, facts and more! November 11, 2018: Dress rehearsal for the upcoming Radio City Christmas Spectacular at Radio City Music Hall in New York City. 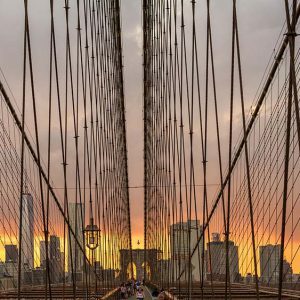 New York is a different city every season – there are no questions about that! And the Christmas season in the city is simply magical. I do not know another place in the world that lives the date like here – the windows, the streets, the houses. And, in addition, the season is also marked by special shows. 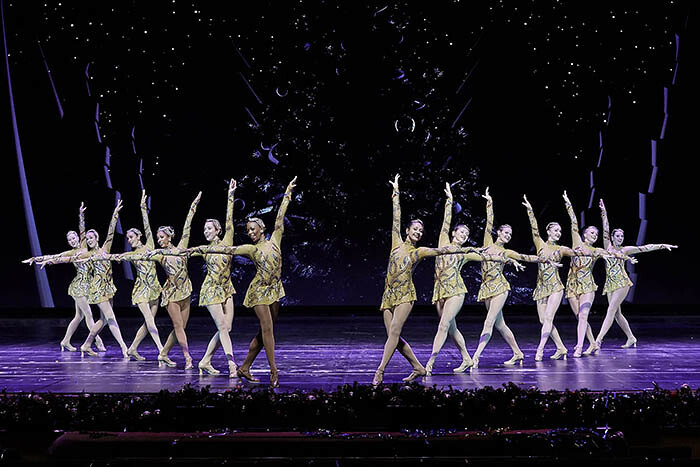 One of the most classic spectacles of the city – and also classic of the Christmas time, since only happens in this period – is the Christmas Spectacular Starring the Radio City Rockettes or simply Rockettes. For you to have an idea, the show debuted in 1933 and goes on since every year. Although I live in the city for almost five years, I still had not checked out. As the end of the year is a time to also check some things from the bucket list, we went to see it last week and today I will tell you a little bit about it! The show takes place at Radio City Music Hall, located in Midtown at the Rockefeller Center complex. Other shows and concerts happen there during the year, but I had never been at the venue before. So the first thing I need to point out is the beauty of the place. The structure is amazing and the space is beautiful, fantastic. And it is huge! For you to have an idea, the capacity is more than six thousand people! That is, much larger than a Broadway theater. Now, speaking of the show – after all, what is Christmas Spectacular Starring the Radio City Rockettes about? Do not expect a story told with beginning, middle and end. 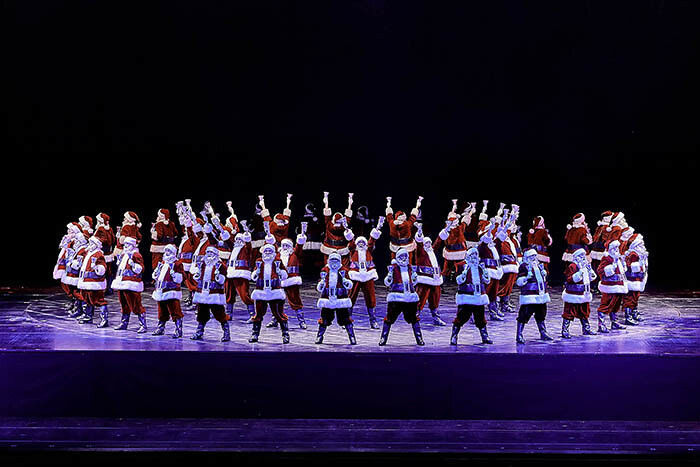 The show is a celebration of Christmas, gathering beliefs, fantasies and imaginary stories, related to the date. There are several numbers, animated with exciting music. Incidentally, I need to open a parenthesis for the music: the orchestra is perfect and their work makes all the difference in the experience. 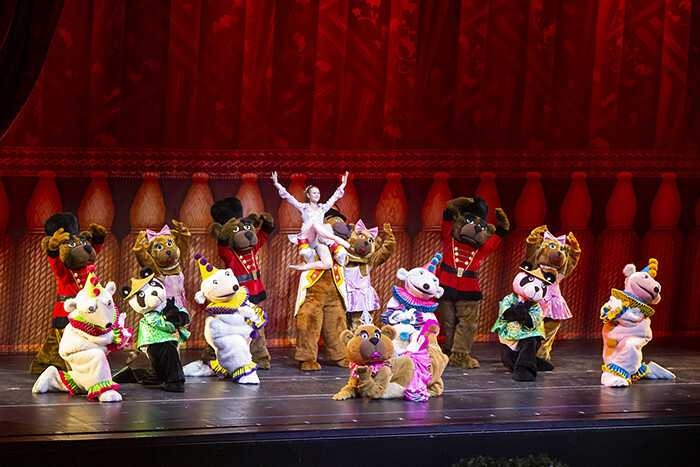 Returning to the performances, they are starring, basically, by Santa, who appears several times, talking to the audience, and the Rockettes. Santa Claus is super-humorous and there are acts in which he brings the public’s imagination – when he takes two boys to his house at the North Pole, for example. And the Rockettes, well, they’re the stars of the whole show. For those unfamiliar, Rockettes are an American dance company. The group is even older than the show. There are 36 dancers and they perform a lot of numbers throughout the show. Their dances have perfectly synchronized movements – and the most famous, of course, is the kick ups. Also, their costumes are gorgeous. From all the performances, the most impressive is Wooden Soldier Fall, when they all fall, in a domino effect. It is on the show since 1933 as well! Another pretty cool number from the Rockettes is one with tap dancing – and again, the timing is fantastic and perfect. It also struck me – in a positive way – the performance showing Jesus birth. Regardless of religious beliefs, I think the story is beautiful and meaningful and it is staged in a very beautiful way! Another highlight are the scenarios – often using digital technology, with 3D effects – and special lights that make the experience even more beautiful and special. There’s a number where the Rockettes roam the city on a bus and the feeling you have is that you’re really following them through the streets of New York. Our verdict? We liked a lot! The show lasts 90 minutes, with no breaks. 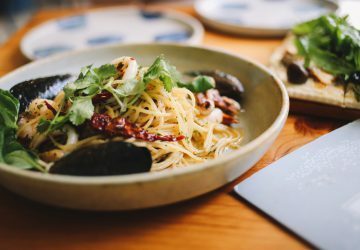 It is a unique and special experience for those who enjoy Christmas – and I believe it is even more special for those who are traveling, sort of completing their experience in the city at this season, you know? It’s the kind of show I would certainly take my parents if they came here sometime. But for me, it was a one time experience! A classic thing! Now, let’s go to some interesting facts about the show and the Rockettes? Christmas Spectacular performances start in early November and follow in daily performances until January 1st. To be cast, they have to be between 5-foot and six-inches, and 5-foot 10-inches and know tap, jazz, and ballet. Rockettes do their own makeup, change costumes in under 78 seconds, and kick up to 600 times each day. 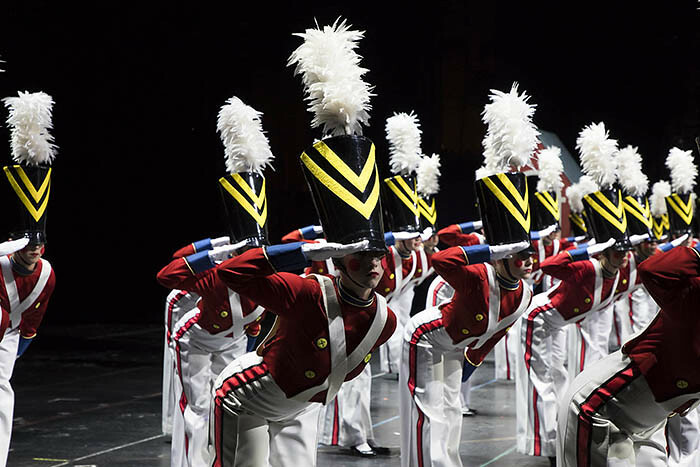 For the 2019 season, the Rockettes got new costumes. Designed by Emilio Sosa, they have 3,069 Swarovski crystals in 11 shades. 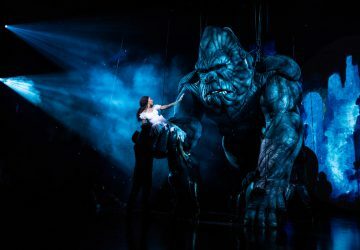 Hundreds of women audition every spring for 80 cast-member spots (though just 36 dancers perform at each show), and even Rockettes who want to return for another season must re-audition with no guarantee of a placement. 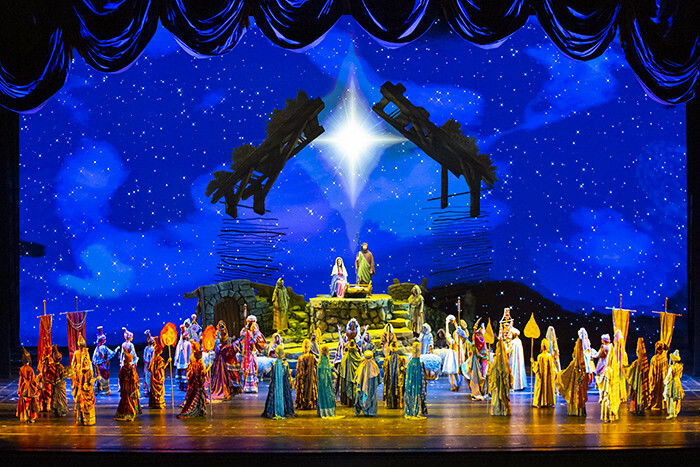 It takes more than 250 people to stage the Christmas Spectacular. There is a cast of 150 that includes us Rockettes, singers, dancers, musicians, figure skaters (and more!) and a cast and crew who “loads in” the production weeks before opening night.